It has not been the easiest of seasons for Jose Mourinho at Manchester United as the team are way off the pace in the Premier League title race, and the performances on the pitch have been less than desirable. One major problem that has been highlighted throughout the campaign so far is the weakness of United’s defence. Throughout the summer transfer window the Red Devils were linked to numerous high-profile centre-backs, but a deal was never struck. Mourinho has had to make do with Chris Smalling, Phil Jones and Victor Lindelof, while arguably their best defender Eric Bailly has had to settle for a spot on the bench. Ironically, a player who United let go in 2015 could be an ideal transfer candidate. Michael Keane came through the North-West outfit’s academy and ended up permanently leaving the club to join Burnley following five first-team appearances, where he spent two seasons before signing for Everton last year. The England international initially struggled to find his feet at Goodison Park and he was plagued by some injury problems. Now, though, he is arguably playing his best football in an Everton shirt as he has linked up well with centre-back partner Kurt Zouma under new manager Marco Silva. As the infographic shows, the 25-year-old has improved his awareness having cut out opponents’ play on numerous occasions. 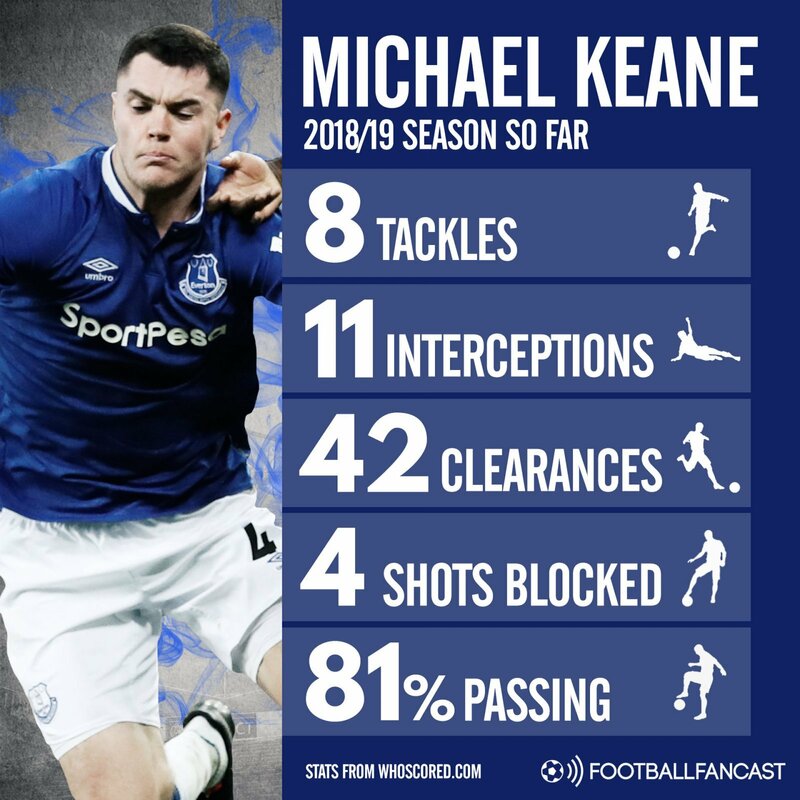 Keane has not administered many tackles in his eight Premier League outings, but he has a high success rate of winning them. Plus, his passing accuracy is in a much better state, making him look like the player who attracted so much attention at Burnley. Mourinho would solve United’s biggest problem this season by bringing the Toffees ace back to Old Trafford, but whether Keane would be willing to return is another story.